Earn Beanz and exchange them for JBC cups! Drinking coffee from a nice coffee cup is even better, isn’t it? We love to see you enjoy our coffee and drink it regularly. It makes us happy! 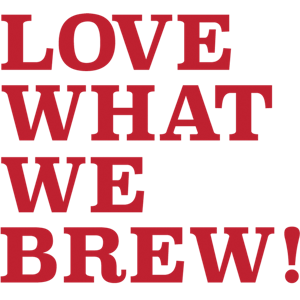 So we started BEANZ just for you, our loyalty programme, where with each purchase you collect points that you can exchange for our beautiful Jones Brothers Coffee cups. This way, you can make your coffee experience even more special. Because what’s better than enjoying your favourite coffee in a beautiful cup? Beanz is Jones Brothers Coffee’s loyalty program. 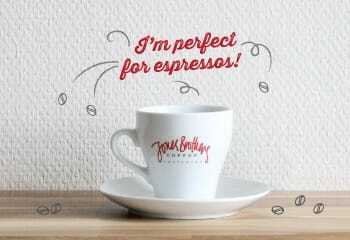 It’s open to everyone who orders in the Jones Brothers Coffee webshop. With each purchase, you’ll collect points that you can then exchange for a coffee cup from us. The only thing you need is an account to keep your Beanz safe! How many Beanz do I need to redeem a cup? When you log into your account you can see your actual Beanz balance. I collected enough Beanz. How do I redeem a cup? 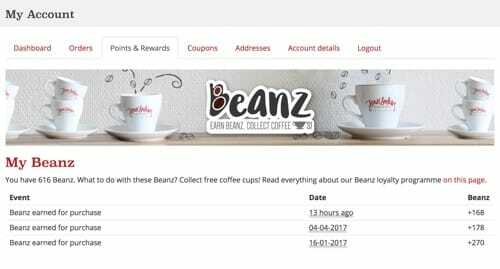 If you collected enough Beanz, when making a purchase, an option ”redeem Beanz to get a cup” will pop on the screen. Click on it and you’ll be able to add a cup to your basket. Your cup will be shipped to you with your order with no extra cost. You can also choose to receive your cup outside of an order. In this case, a shipping fee will apply. Log into your account and check your points balance. You need to have at least 375 Beanz to collect a free cup. 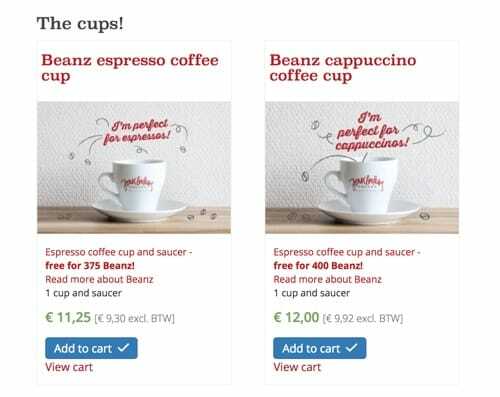 Come back to this page and add one or more cups to your cart, see below. In your cart you can choose to redeem points in exchange for a discount on the cups. Then proceed as usual and enjoy your free cups! Choose one or more cups below and add them directly to your cart. Proceed to your cart and claim the free cups. If you have any questions related to how Beanz works or specifically to your account, we’ll be happy to answer them by phone or e-mail. Contact us at: 020 – 723 88 88 or write to: hello@jonesbrotherscoffee.com.